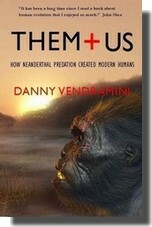 Kardoorair Press, Australia presents ‘Them and Us: How Neanderthal predation created modern humans’ by Danny Vendramini. We consider this to be the most important book on human origins since Darwin’s ‘Descent of Man’ . Put aside everything you thought you knew about being human – about how we got here and what it all means. Years of rigorous scientific research has led Danny Vendramini to a new theory of human origins that is stunning in its simplicity, yet breathtaking in its scope and importance. Vendramini’s Neanderthal Predation Theory is one of those groundbreaking ideas that revolutionizes scientific thinking. 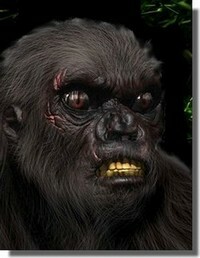 It represents a quantum leap in our understanding of human origins. 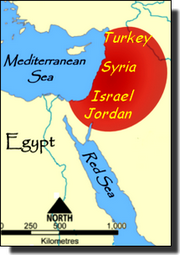 NP theory reveals that Eurasian Neanderthals hunted, killed and cannibalized early humans for 50,000 years in an area of the Middle East known as the Mediterranean Levant (see map, below). Because the two species were sexually compatible, Eurasian Neanderthals also abducted and raped human females. Them and Us cites new evidence from archaeology and genetics to demonstrate that this prolonged period of cannibalistic and sexual predation began about 100,000 years ago and that by 50,000 years ago, the human population in the Levant was reduced to as few as 50 individuals. The death toll from Neanderthal predation generated the selection pressure that transformed the tiny survivor population of early humans into modern humans. This Levantine group became the founding population of all humans living today. NP theory argues that modern human physiology, sexuality, aggression, propensity for inter-group violence and human nature all emerged as a direct consequence of systematic long-term dietary and sexual predation by Eurasian Neanderthals. Evolutionary detective Danny Vendramini begins with a radical reassessment of Neanderthals as a unique primate species. He draws on the latest findings in Neanderthal behavioral ecology as well as new archaeological and genetic evidence to show they weren’t our docile cousins that looked and behaved like humans. NP theory is a ‘unified field theory’ which for the first explains the unique physical, behavioral and sexual characteristics of modern humans. Them+US explains how, why and when we became the unique species we are today. Them+Us is available in paperback and Ebook. For overseas buyers, price and postage are converted to your local currency by your credit card issuer. Just type in your country and zip code and our check out will calculate your postage. On our Extracts Page, you can download 3 chapters of Them+Us free, along with the Introduction, Preface, Glossary and References. Vendramini writes in a clear lively style for a general readership, you don’t need to be a scientist to understand it. It reads like a detective story. 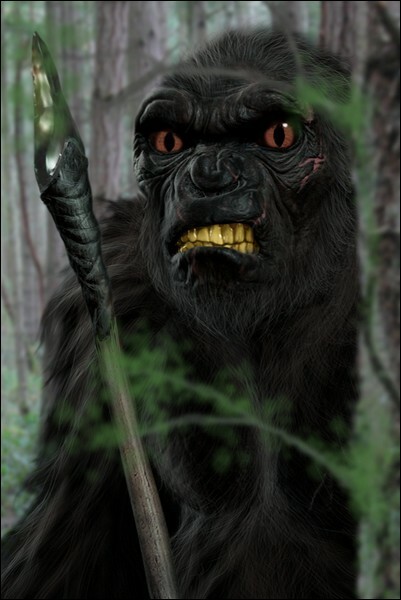 He also uses 280 photos, drawings, maps and graphics to tell the exciting story of human evolution. Bio, contact details, photos, etc. Info for booksellers, order details, etc.